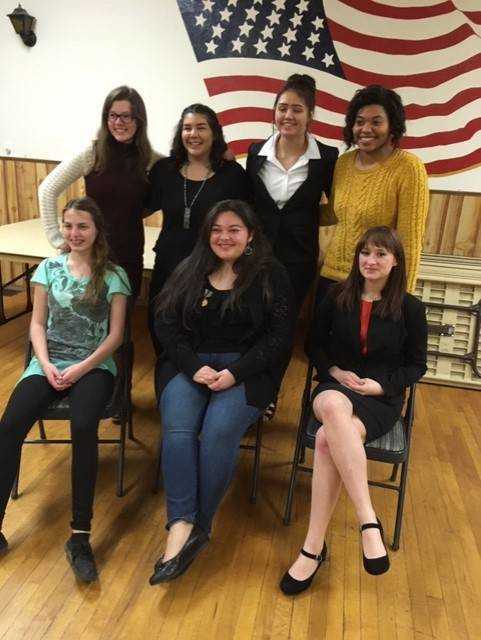 Teresa McCallum, Mercedez Mason, Aja Harrigan, Kiara Rockins, Brooklyn McCoy, Katie Perez and Adeline Bates have been selected by the American Legion Auxiliary #26 to attend Syringa Girl State at Northwest Nazarene University, June 9 through 14, 2019. Girl State is a program for junior girls where they learn how the government works. While there they participate in elections and debating bills which they have written. It is a week of learning and fun for the participants.